Posted June 30th, 2014 by Leah Wood & filed under Community News, Company News, Industry News. 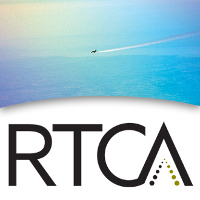 AeroNavData’s team members attended the RCTA Special Committee 217 meeting June 16 through 20, 2014 at the FedEx Corporate HQ, in Memphis, Tennessee USA. The meeting agenda included the review of the Working Group’s Action Items that included a discussion of the progress of the ED76/DO200A Tool Qualifications, Compliance, Documentation and Matrices. A discussion also took place on the consistency of terminology and the process to develop draft update to ED76/DO200A for pre-FRAC review. The majority of the meeting was to evaluate the DO-330 document and how it applies to the new DO-200B. The FAA is seeking standardization for tool qualification and are looking to DO-300 to possibly achieve that goal. It was previously decided that the DO-200B document would not be revised to include the updated tool qualification so it was necessary to reference the new DO-330 document in the new DO-200B publication. This may require Type 1 LOA holders to include and comply with the new DO-330 for tool qualification. The Working Group Action Items also included the presentation of the status and the review of CEN TC 377 U.